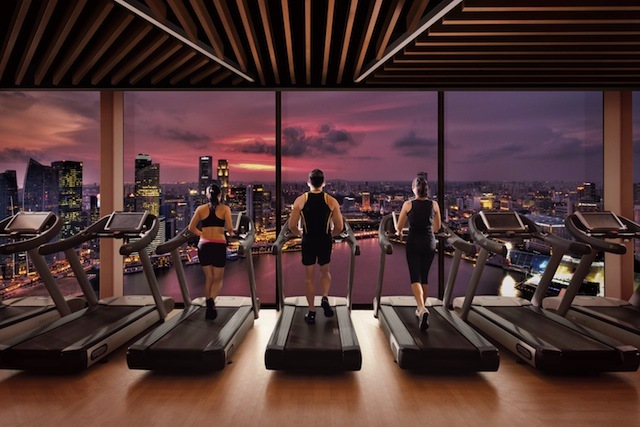 Banyan Tree Fitness Club, located fifty-five stories above the ground in Singapore’s iconic Marina Bay Sands, offers the best in physical, mental and spiritual renewal. 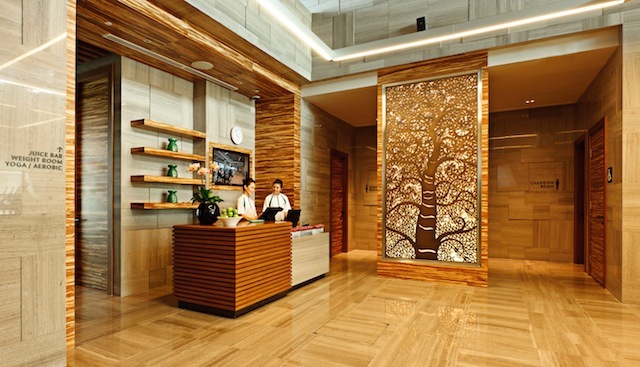 Situated on the same level as the Banyan Tree Spa, but in the adjacent building, Tower 2, Banyan Tree Fitness Club features a soothing hot pool, sauna and steam facilities. 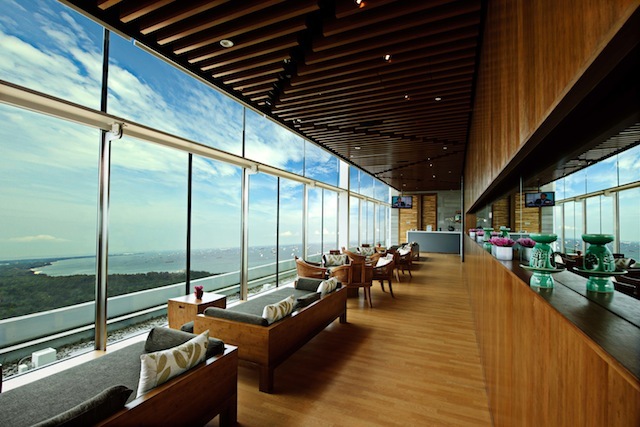 The club also provides a luxurious tropical-themed relaxation lounge where you can refresh and rehydrate by sitting back, unwinding with a cool drink and reveling in the sweeping sea views. Power up at the studio by getting your adrenalin flowing with state-of-the-art rowers, strength machines and free-weights. Pilates enthusiasts and Triathletes can improve health and fitness levels with resistance training from the Kinesis Technogym pulley wall. Catch your favorite television program with their touchscreen treadmills, stationary bikes and elliptical machines while you work on your cardio against the stunning city skyline. 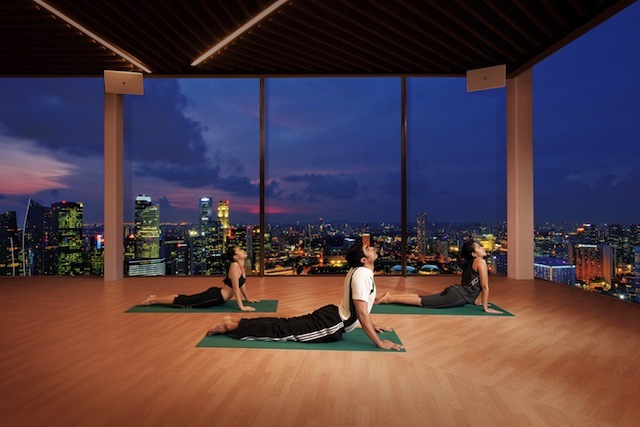 Decompress in the aerobics studio offering a breathtaking, panoramic view of Marina Bay. Induce a sense of balance and calm with a selection of yoga classes including all levels of Sunrise and Pranayam, intermediate and advanced levels of Hatha and Ashtanga, and special sessions for the Stomach and Aching Back. Namaste.